What is the purpose of a Water Fill Base Post and Chain Kits? A Water Fill Base Post and Chain Kit is a temporary barrier system composed of posts connected by plastic chain link. They serve to secure areas undergoing maintenance as well as manage queues of people or vehicles. The posts can also act as holders for temporary traffic signs. 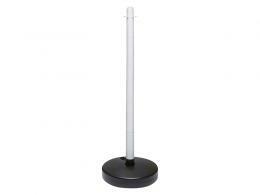 They make lightweight and handy barrier posts as the water-filled bases can simply be drained when not in use. The barrier posts are easily made visible with coloured connecting plastic chains. Where can a Water Fill Base Post and Chain Kits be used? This maintenance barrier kit can be used in commercial areas such as supermarkets, offices, reception areas, hotels and hospitals. 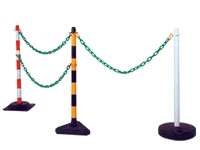 Post and chain fencing can likewise be used at activity centres such as concert venues, banquet halls and reception lobbies. Schools can use the posts to manage queues at canteens, libraries as well as entrance gates. Parks can use chain fence posts and plastic chains kit for different purposes. 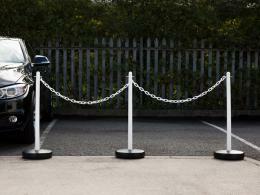 Chain link post can be used to hold temporary safety signs or serve as barriers at indoor and outdoor car parks. It is always a good idea to have some of these posts at home for a variety of uses. Who might use this Plastic Barrier? Security personnel in schools, hotels, hospitals and concert venues can use the product for crowd control. Park keepers use the kit to secure areas undergoing maintenance work as well as reroute park visitors whenever necessary. Traffic enforcers can utilize the posts as temporary barriers during emergency road situations. A Water Fill Base Post and Chain Kit is a set of posts standing on water-filled bases. The posts are 880mm (H) x 40mm (Dia) while the base dimensions are 75mm (H) x 300mm (Dia). The base provides a strong stand when filled with the right amount of water. The product comes in varying pack quantities. The KITXPW6 is composed of 4 posts and bases, 6 meters of 6mm chain and 1 pack of 10 connectors. 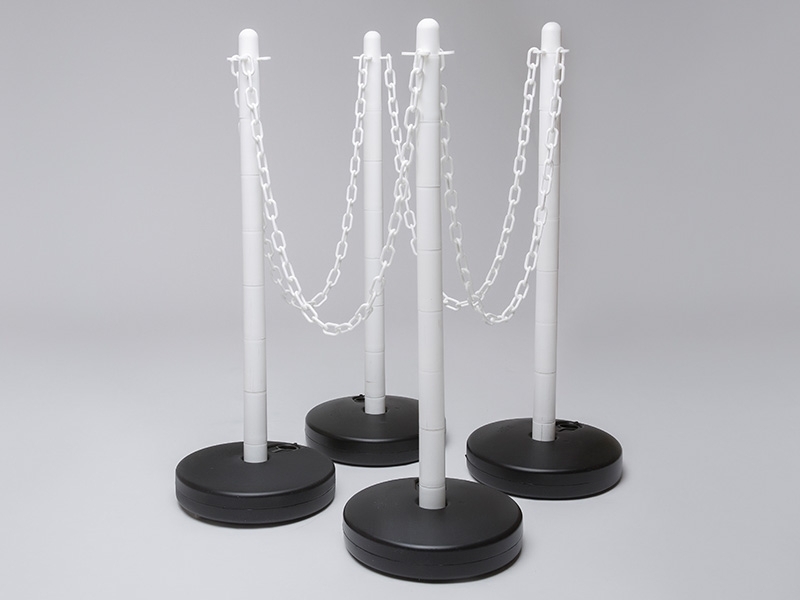 The KITXPW8 is a set of 4 posts and bases, 6 meters of 8mm chain and 1 pack of 10 connectors. The KITZPW6 is a set of 6 posts and bases, 10 meters of 6mm chain and 2 packs of 10 connectors each. The KITZPW8 is a set of 6 posts and bases, 10 meters of 8mm chain and 2 packs of 10 connectors each. The kits are available in 3 color combinations: red/ white posts, red/white chains and red connectors; white post, white chains, white connectors and yellow/black posts, yellow/black chains and yellow connectors depending on the purpose for which the barrier is used or on one’s personal preference. By emptying the base of water, the post can easily be carried away for storage. Refilling the base with water does not require any special skill. The Workplace Depot offers a standard one year warranty on all parts and labor. Our Water Fill Base Post and Chain Kit fully comply with all local council and government regulative manufacturing requirements to ensure the safety of your customers and staff.